Brilliance China Auto (NYSE: CBA) - Chinese carmaker. The company's plants are located in Shenyang City, Liaoning Province. The company's shares are traded on the Hong Kong Stock Exchange. Brilliance China - the only Chinese carmaker, ADR which are traded on the New York Stock Exchange NYSE: CBA. Annual revenues (June 2005 - June 2006) - $ 895 950 000 EBITDA Earnings before tax $ 20.60 million..
Brilliance China Automotive - holding, which includes several companies engaged mainly in the automotive sector. Holding was established in 1992 on the initiative of the Chinese government. The largest shareholder of Brilliance - state company Huachen Automotive Group Holdings Co. Ltd., which owns 40% stake in the holding company. Brilliance China Automotive owns the subsidiary Shenyang Brilliance JinBei Automobile Co., Ltd., which manufactures and JinBei Granse minibuses (based on the Toyota Hiace and Granvia Corporation). The technology transferred to a Chinese company in the framework of the technical cooperation agreement signed between Brilliance and Toyota. These vans are used in China as police cars, ambulances, etc. Special transport. Shenyang Brilliance JinBei Automobile - China's largest manufacturer of minibuses - about 60 000 units in 2005. 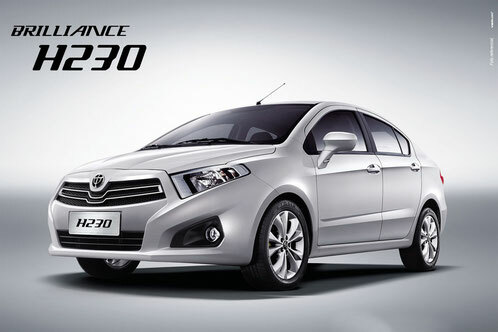 Since 2002, Shenyang Brilliance JinBei Automobile produces the Zhonghua sedans and Zunchi. Zhonghua was designed by the Italian company Italdesign. Since 2014 it produced crossover Brilliance V5. In 2003, it was created by BMW Brilliance Automotive Ltd. - A joint venture between BMW Group and Brilliance China Automotive Holdings Ltd. Share BMW Group in the joint venture is 50%, Brilliance China Automotive Holdings - 49% and 1% owned by Shenyang Brilliance JinBei Automobile. In 2007, Brilliance China Auto produced 123,313 cars and vans (81.5% growth). The parent company group is located in Shenyang. In 2005, BMW Brilliance has produced 15300 cars BMW. Total 2005 sales of BMW vehicles totaled 23,595 units. In 2006, the company planned to produce 20000-25000 BMW cars. 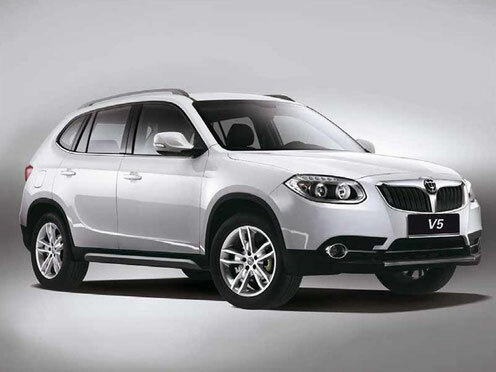 Brilliance V5 - compact modern urban crossover with front-wheel drive 4X2 formula. Available in two trim levels: Comfort and Deluxe. Design of the car is designed by the Italian company Pininfarina. Ergonomic spacious interior trimmed with soft plastic and is equipped with comfortable seats. The car is equipped with a 5-speed manual or automatic transmission. The main vehicle functions are integrated on the multifunction steering wheel. Cargo Volume Brilliance V5 is 430 liters, while the rear seat folded - 1240 liters. Lighting equipment with elegant LED gives a stylish look of the car, provides an excellent illumination in the dark. 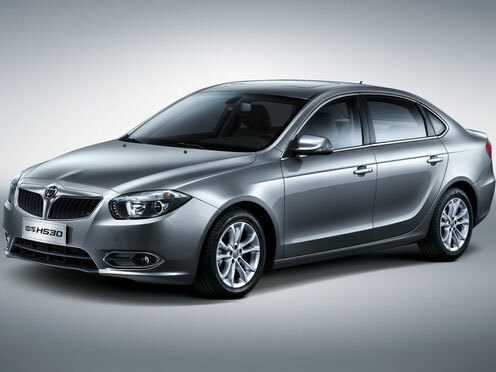 Brilliance V5 - compact crossover, which combines features of both international and modern trends. Stylish, comfortable, spacious and well-equipped car suitable for both young and active, as well as for family trips and long-distance travel.